Toyota, Honda, Mazda and Nissan are set to recall more than 150,000 cars in the UK over a possible defect with passenger airbags. The recall affects models sold between 2000 and 2004 and will mean replacing the front passenger bag inflator. The defective part was produced by a third party supplier, Takata Corp, which makes automotive safety systems and products including seatbelts and airbags. The problem is that excessive pressure produced by passenger side airbags could cause a metal inflator component to rupture, risking small shards flying out of the airbag. While it's a safety issue there have been no reports of any injuries resulting from the issue. There have been five incidents with Toyota models where the airbag inflator has been found to be ruptured but to date there have been no incidents involving Honda, Mazda or Nissan. It's not the first time Toyota has been affected by a big safety-related recall. In 2009 and 2010 the firm recalled millions of vehicles following a high profile problem with brake and brake pedal issues. 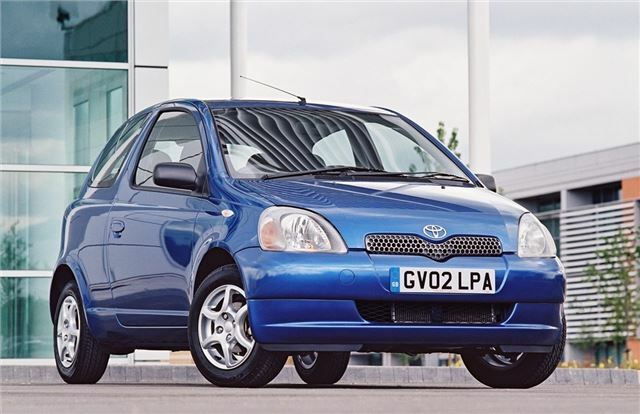 It then introduced a five-year warranty across its model range as it looked to win back consumer confidence. Currently, these are the models we know are affected but it's still not clear whether this is the complete list or exactly how many cars will need to be recalled. How do I know if my car needs to be recalled? You should be contacted within 30 days by the manufacturer but if that doesn't happen you should get in touch your local main dealer who will be able to arrange for the recall work to be carried out. No, the recall work is free of charge.